PHILADELPHIA (WPVI) -- Baseball is the ultimate numbers game. A player's impact on the sport is measured in wins, losses, hits and homers. Roy Halladay's impact goes well beyond that. Said Ryan Howard: "We lost a great ballplayer but an even better human being." Halladay's former teammates echoed that sentiment. He always made time for fans, media and especially the younger players. On the field, we saw a guy who won 203 games, won two Cy Young Awards, was an 8-time All-Star. We also saw a player who did the unthinkable in 2010. He threw a perfect game and a no-hitter in the same season. Chase Utley recounted this story that sums up Doc Holliday's work ethic best: "My heart hurts writing this. I can still remember the first day we met. It was 5:45am on the first day of Spring Training when I arrived. He was finishing his breakfast but his clothes were soaking wet. I asked if it was raining when he got in. He laughed and said "No. I just finished my workout." I knew right then-he was the real deal. Thank you Roy for allowing us to witness what it takes to be the best. We will all miss you." 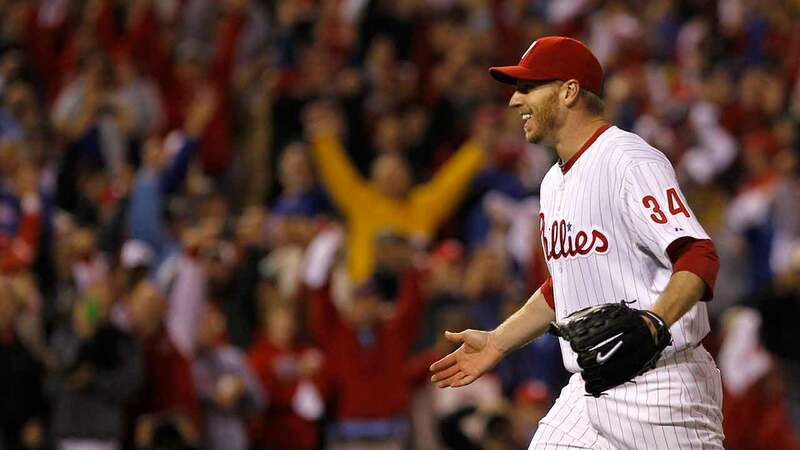 At his retirement press conference in 2013, Halladay said: "baseball has been so great to me." Phillies fans would say it's the other way around.